The list of things I crave taunts me. These, among others, have wreaked havoc on the majority of my life. Why can't I crave only one thing...the One thing that matters more than the sum total of all other useless and harmful things my heart seems set upon? If we want to conquer our cravings, we'll have to redirect them to God. There, in black and white, my struggle found its voice. Since I've started reading, I've been pondering how I can redirect my cravings. Can I give up these intense needs that are not only sworn enemies, but dysfunctional friends? Do I want to? Or would I, like the man invalid for nearly as long as I've been alive...would I rather wallow in self-pity than accept his offer of healing? Difficult questions. Am I the only one haunted by them? 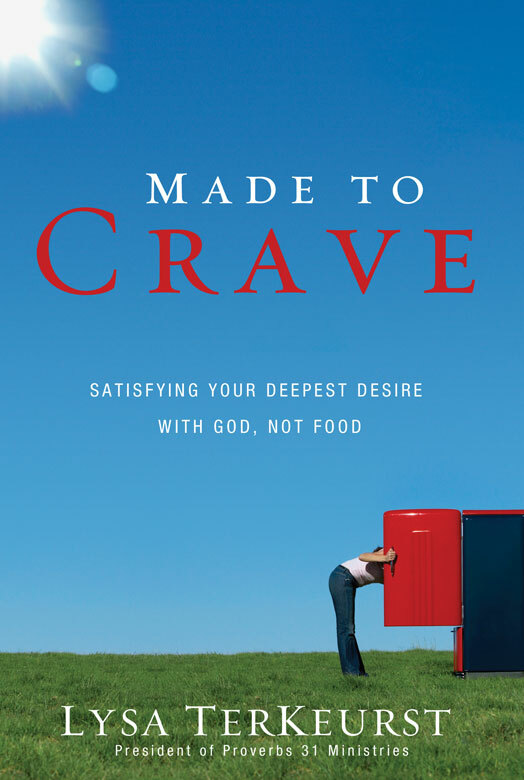 If these thoughts follow you, you too will find comfort (and blessed conviction) in Made to Crave. Lysa's hard-fought wisdom does not apply only to food. Please don't rely on my words alone. You can read what others think about this book by visiting the blog tour. You can also learn about the accompanying Bible study materials here. Finally, you can click the button below to learn how to win a Kindle, a generous offering from Lysa herself. Yours is the second positive review I've read of this one. I'm very, very interested but I'm kinda thinking I need to wait and read it post-April. It's on my list of books to track down though! Glad to hear your thoughts on the title. Thank you for sharing them.